Do Trees Affect Your Homeowners Insurance? Before you build that back garden tree house, find out how trees impact your insurance. When buying homeowners insurance, insurers may ask about the trees and vegetation on your property. If you’re stumped as to why this should affect your coverage, you’re not alone. Even though trees can be an attractive addition to any garden and provide homeowners with privacy, it’s important to be aware of the impact that they could have on your home insurance. Trees can cause property dangers. Damage to houses caused by falling trees and branches is generally covered by home insurance policies, but always check the wording of your cover to be aware of exclusions. Something that can be problematic is the part of the tree that you can’t see – the roots. Tree root damage can cause trouble for homeowners, and even more trouble for their finances. Let your insurer know about any large or old trees near or on your property. Your policy may cover tree removal and damage repairs. If a tree were to fall on your property and damage one or more of your insured structures, your homeowners insurance would likely help with the cost of removing the tree and repairing the damage. However, if a tree falls due to neglect on your part, you may not receive any compensation. Therefore, it’s a good idea to keep the trees surrounding you in good condition. If a tree falls on your property without damaging any insured structures, you may assume that your homeowners insurance will help with the cost of removing the tree. Most policies only provide this service only if there is damage to your property. 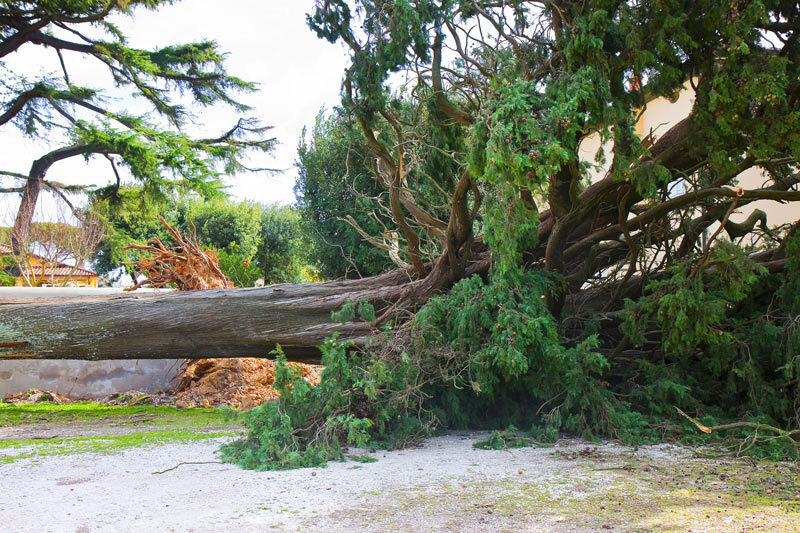 When a fallen tree damages your property, your homeowners insurance may pitch in no matter who owned the tree. Your insurance carrier may attempt to recoup some of the costs, including the deductible, from your neighbor’s insurance, especially if he or she was negligent in caring for the tree. For the home insurance that your house needs and deserves, contact Gee Schussler Insurance Agency, serving residents in Orland Park and neighboring cities in Illinois with the right and reliable coverage!